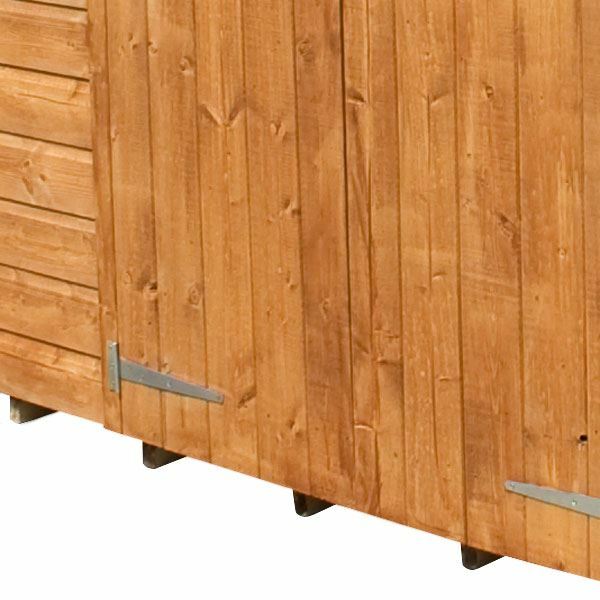 The 10 x 6 Waltons Windowless Overlap Apex Wooden Shed has been manufactured to provide a large amount of space whilst remaining great value for money. The large interior means a variety of general garden items can be stored in this shed such as lawn mowing equipment and tools. The double doors make it much easier to store items because of the wider entrance. The double doors come with a butterfly catch to keep them closed when not in use. The apex roof provides extra room on the inside of the shed, whilst aiding with water drainage. Sand felt is supplied with the roof which helps to prevent against water damage. 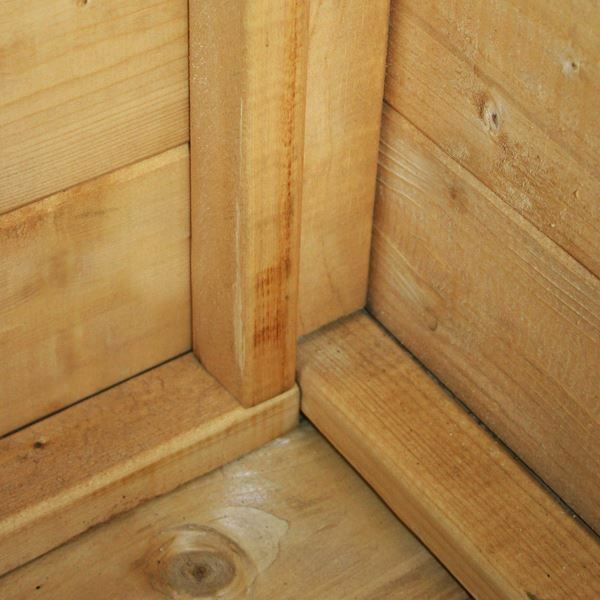 The 8mm thick overlap cladding combines with the 28mm x 28mm frame to create a strong and robust garden building that will last for many years to come. 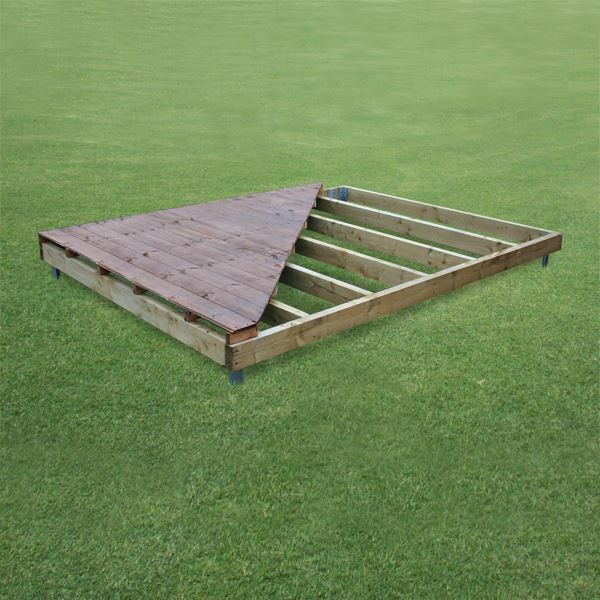 The floor and roof are made from solid sheet material, which creates a solid platform and base that is ideal for storing lawnmowers and bicycles on. 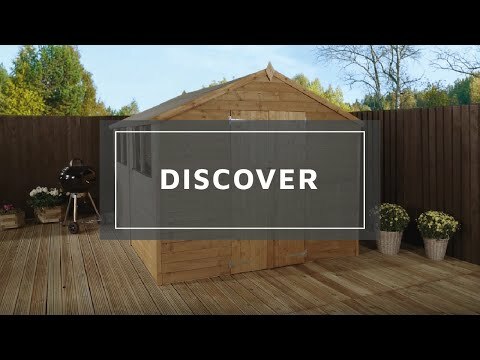 This shed represents a real bargain for those wanting a large garden building that can serve a variety of purposes. Our Reply:Good morningThank you for leaving your feedback regarding your recent purchase. it is nice to know that you are happy with the product. Our Reply:Good morningThank you for your feedback today. 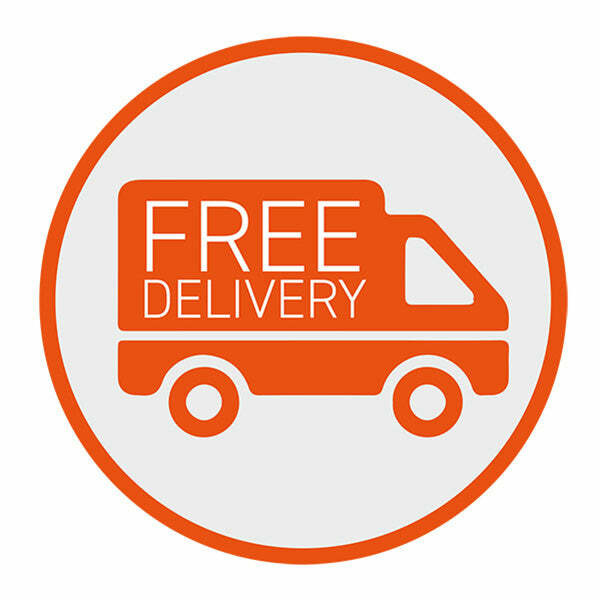 I am glad that you are happy with your purchase and the service you received. Thank you very much for your brilliant feedback, it's great to hear that you are happy with your new Overlap shed. 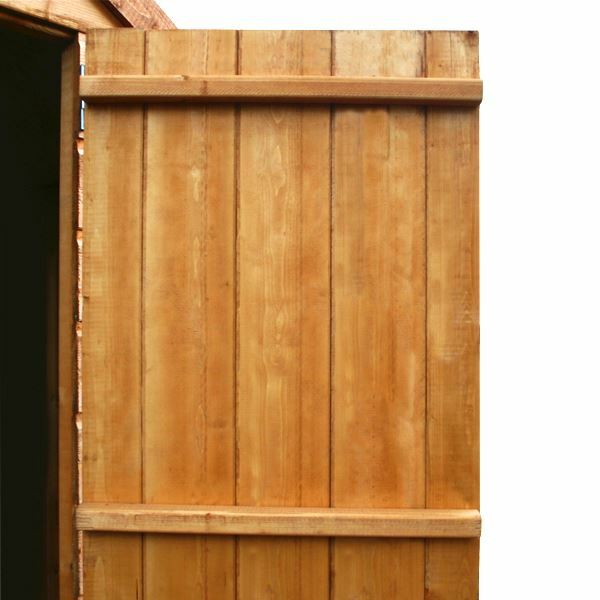 Review:good quality shed, but couple of snags with walls not quite lining up. flooring was quite thin so had to buy more sheets.